Smaller sheds are useful for the average home, but in the industrial world, big sheds are needed to fill big roles. Outside of the domestic setting, industrial sheds are vital for holding all kinds of materials and they also serve as a place of work for many. When you need a shed that can meet your specific needs, the selection process may be a bit tricky. Thankfully, we have a number of different models that can be customised for any industry. While all of our sheds can be custom designed for your specific situation, we have a number of different models that serve as a base. The first of these industrial shed templates is called The Miner. This has a simple design, but features ten ton gantry beams and fully equipped colouring options. The Contractor, the second in the line-up, is similar in shape, but includes a second storey office and 2400mm Dado walls. The final one, called The Jackson, is the largest and designed for the biggest jobs. It has everything that the other models carry, but is significantly larger, which is useful if you need more space. While each of these models is useful in its own way, their true potential can only be realised if you equip the shed with customised features. All of our sheds are sold this way so that you can get the perfect one for you. If you like to add more cladding, change the colour, or include any additional features, such as skylights, we can do all that and more. We supply everything that you need, except for concrete, any way that you need it and include a ten year warranty as well. Industrial sheds come in all shapes and sizes and if you want one for your specific industry, then you should choose and have one built that would match your needs perfectly. Thankfully, with our line-up of industrial shed models and the extensive customisation process, you can achieve just this. 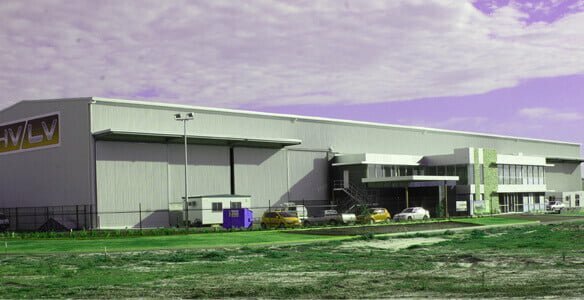 We can deliver and install an industrial shed for your business in Perth and across the country, so start designing now to get the best possible sheds for you. For more information, please call us on 1300 778 628.